In a large bowl, combine the diced tomatoes, peaches and scallion. Toss to combine and set aside. 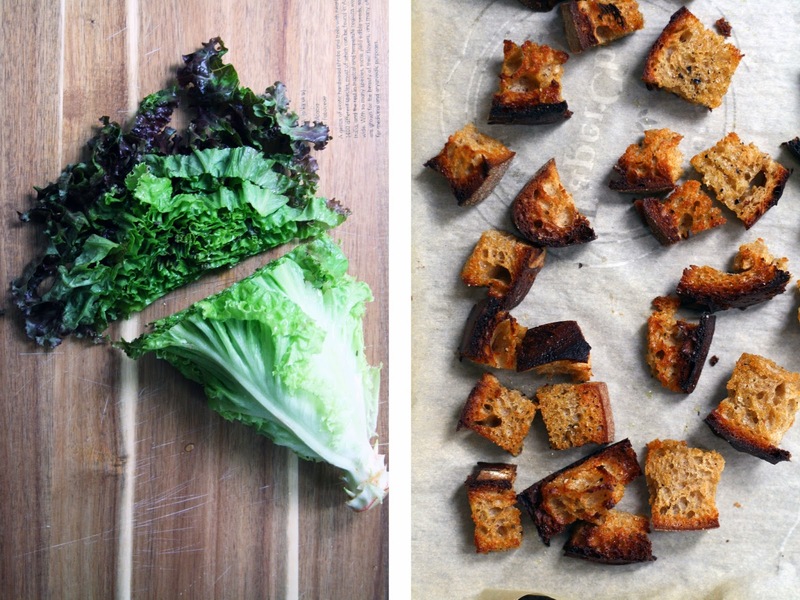 To make the croutons, toss the bread with a drizzle of olive oil, salt and pepper. Spread onto a parchment lined baking sheet and broil for 4-6 minutes, or until browned and crispy -- keeping a close eye to avoid charring. When ready, remove from oven and set aside. Add the basil and lettuce to the bowl, then the warm croutons. Dress the bowl with roughly 1-2 T olive oil, 1-2 T balsamic vinegar and a few grinds of freshly cracked pepper. Toss, taste and adjust quantities accordingly.